The American Racing VN105 Torq Thrust D gray wheels with machined lips feature a gray center section and a gunmetal finish on the outer ring giving your wheels an awesome look that will make everybody's heads turn in awe. 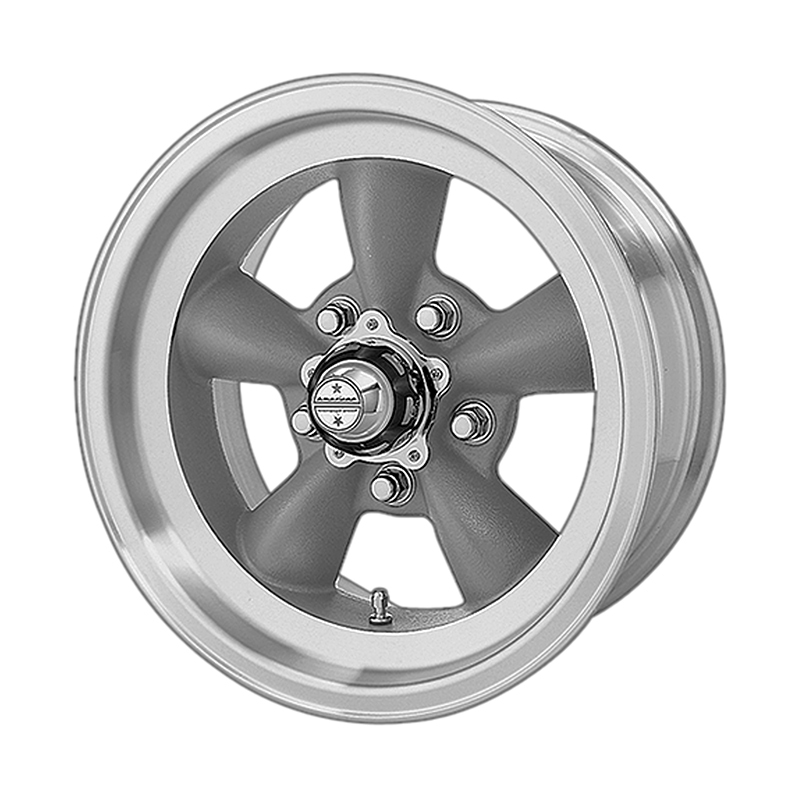 The VN105 wheels are made from one-piece cast aluminum alloy which provides not only durability to withstand different elements, but are also lightweight. The wheels are available in a variety of sizes, diameters, offsets and bolt patters to fit your car.